Living in Annapolis, MD, snow is an inevitability. While it can be both fun and beautiful, it can also be a hassle and even pose potential dangers to homeowners and businesses, particularly when it collects on the roof and there is nothing to stop it from falling. Luckily, you can purchase snow guards from Roland Slate Service Company, which can help prevent potential disasters as a result of snow buildup on your roof. When snow collects at the edge of your roof an ice dam can form which prevents snowmelt from safely falling off your roof and can cause severe damage to your roof and surrounding walls. Snow guards help to prevent this by catching the snow before it dams at the edge of your roof. If pedestrians are hit with falling snow and ice your business could be held liable. Vehicles and foliage underneath your roof may also be in danger. However, by having snow guards installed you can greatly reduce this risk. When not properly channeled, snow melt can erode the topsoil around your home and potentially damage the foundation. 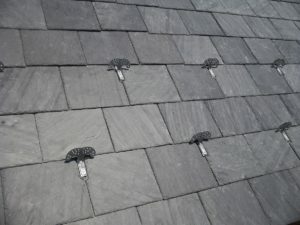 Snow guards make it so that snow melt can be safely channeled off of your roof. Clearly, snow guards are a great investment for practically anyone in the Annapolis area. 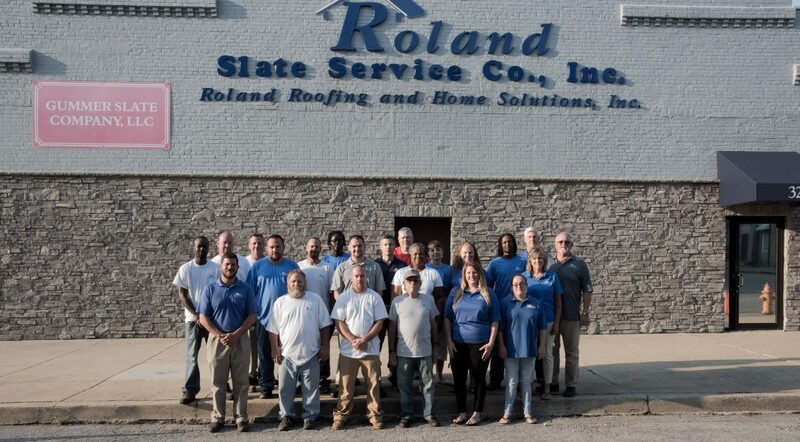 If you make the smart decision to have them installed on your home or business, contact Roland Slate Service to put the project in the hands of a trusted team known for its excellent products and services.